Associated with, or a member of, a group or organisation. The arousing of public concern about an issue and pressing for action on it. This could be through propaganda or direct action. An individual, group or region having the freedom to govern itself or control its own affairs free from outside control. A set of people given a shared title based on something they hold in common. Anarchists often talk of class in terms of an economic relationship, which this pamphlet will examine. The system used to work out how goods and resources are produced and allocated to people. The current economy is capitalist, but other forms of economy are possible. The nature of hierarchy. A system in which members of an organisation or society are ranked according to relative status or authority. Of, relating to, or characteristic of an institution. For example: Institutional racism. The points at which different things come together. Often used in anarchist text to talk about the interaction between multiple systems of oppression, discrimination and/or privilege. A policy or practice of cooperation going beyond the notion of being divided by nation, especially in political and economic matters. Used to refer to authoritarian or hierarchical left-wing organisations (such as trade unions and political parties), or their members. The state of being subject to oppressive treatment. The exercise of authority or power in a harmful or unjust manner. Information or deeds used to promote a political cause or point of view. An awareness of the fact that to overcome the systems of exploitation and oppression in our lives we will need to fundamentally change in how society functions. 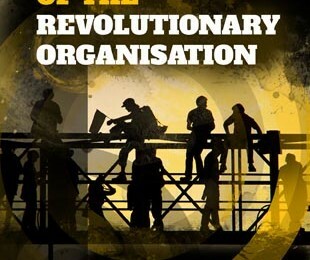 A revolution undertaken by the majority of the working class that removes all class divides. Not to be confused with a political revolution, where the people at the top may change but a class structure remains in place. The act of undertaking supportive activity towards other people which does not come with the expectation of reward, but instead comes from a sense of mutual aid or common interest. A group of people leading the way in an authoritarian and prescriptive manner. Often used to describe the approach of Leninist groups.